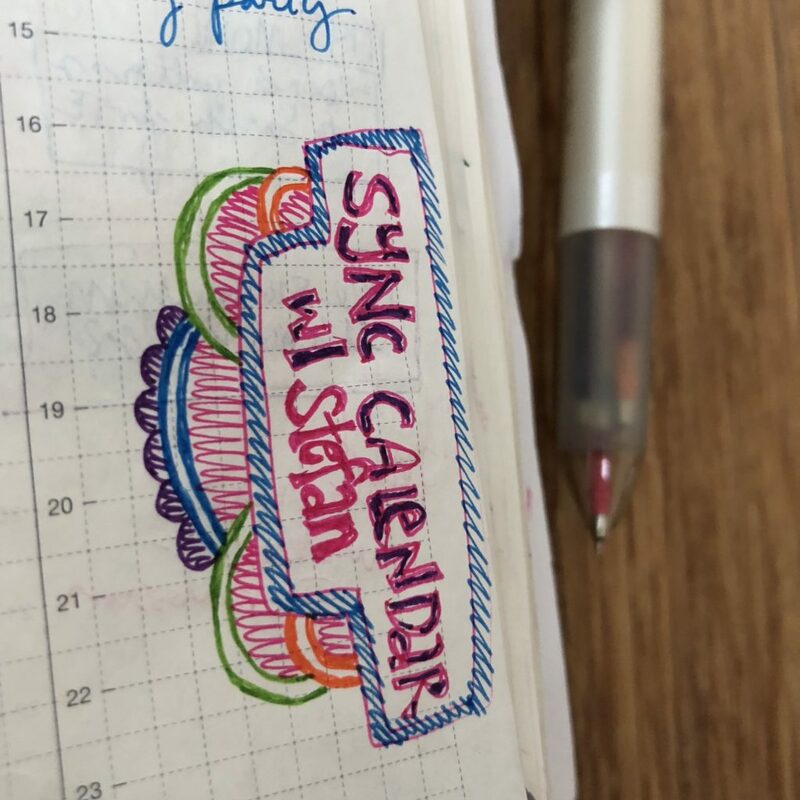 A few years ago, I embarked on a planner-and-stationery-frenzy with some good friends. The first planner I fell in love with was the Get to Work Book. It’s a gorgeous book, big and beefy and simple and lovely. 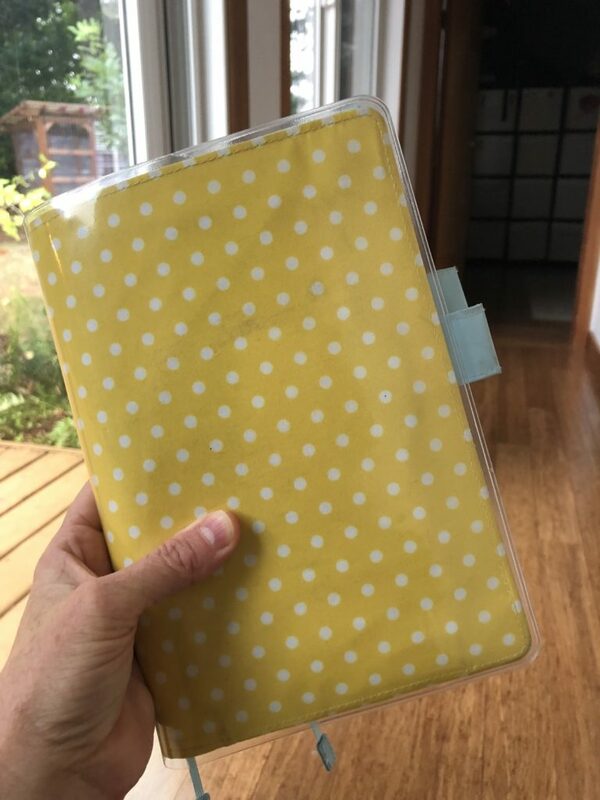 I used mine for the year, and, although ultimately it was not the planner to provide planner peace for me, what I personally got from my GTWB was invaluable. I learned the art of the open-planner-next-to-me-time-and-list-management style that was to become my preferred planning place. I refined the doodle-while-pondering-method that helps me break through difficulties or roadblocks in my day. 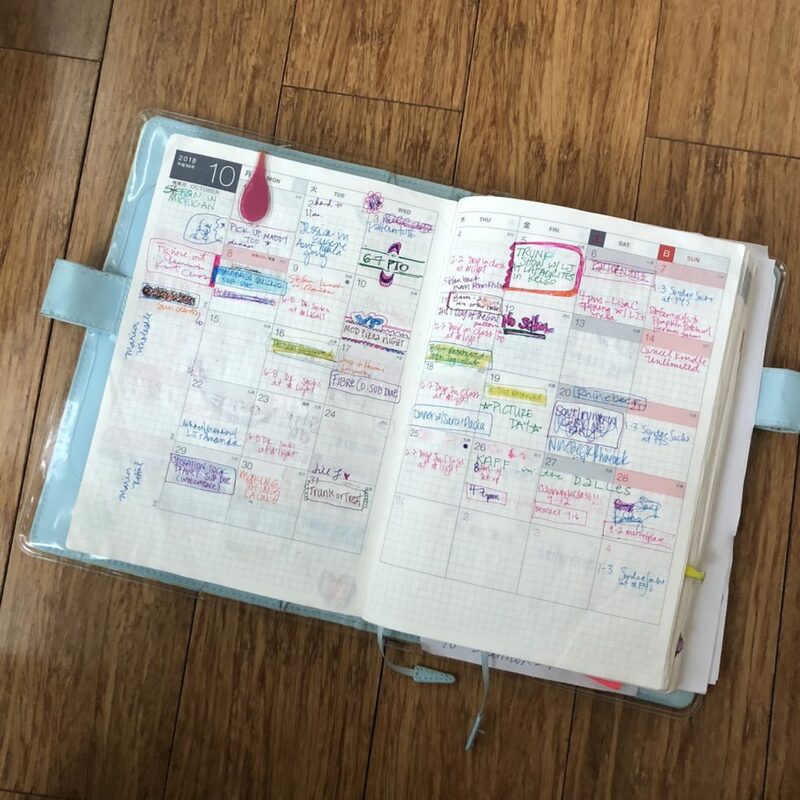 And, most importantly, I realized that having an actual planner, instead of a blank notebook into which I basically dumped everything in my brain at all times, was so helpful in my personal and professional organization. In other words, I was hooked on planning. At the knitting world trade show either that year or the next, that same trifecta of stationery addicts saw a woman with something amazing across the aisle. We all ran over to her, asking to see what notebook she was using. It was a Hobonichi Cousin, and we all pretty much fainted from want. 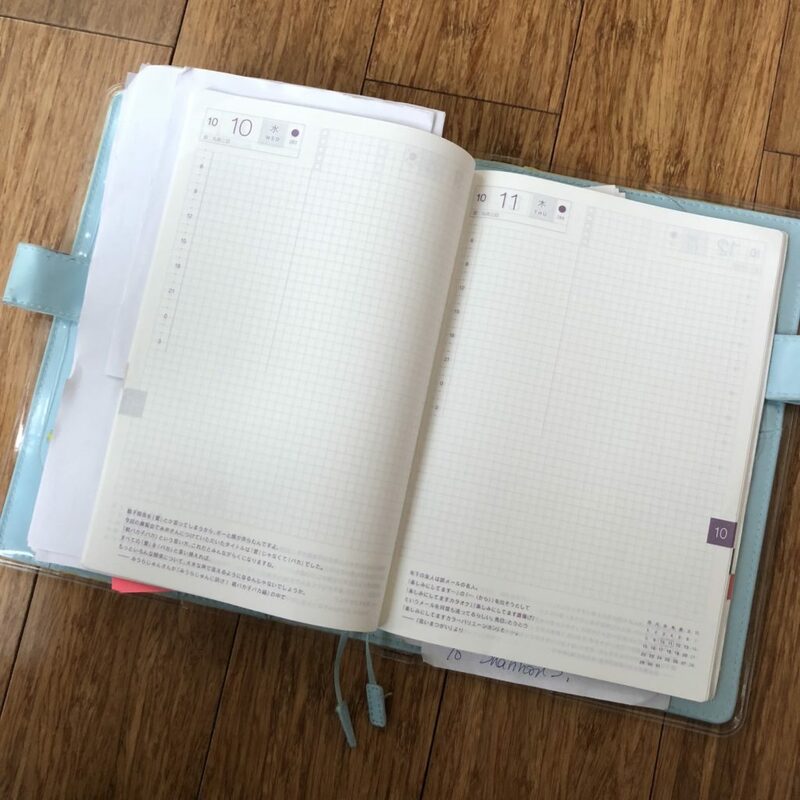 You see, Hobonichi is a Japanese company, selling a few different yearly planners, all with the same basic style (if not the same size and shape) in the same exquisite paper, Tomoe River. If you’ve never seen Tomoe River paper, you are in for a treat. It’s so so thin, so crisp, and so sturdy. Because of the Tomoe River paper, the Hobonichi Cousin, which has 2-page monthly spreads, 2-page weekly spreads, AND a one-page spread for each day of the year, is only about 1″ thick. That’s 544 pages gracefully crammed into an inch of space, people! It is kind of a given that we placed a massive Hobonichi order after that. For 2016, we all ordered the Cousin (as well as some fun extras, because of course). 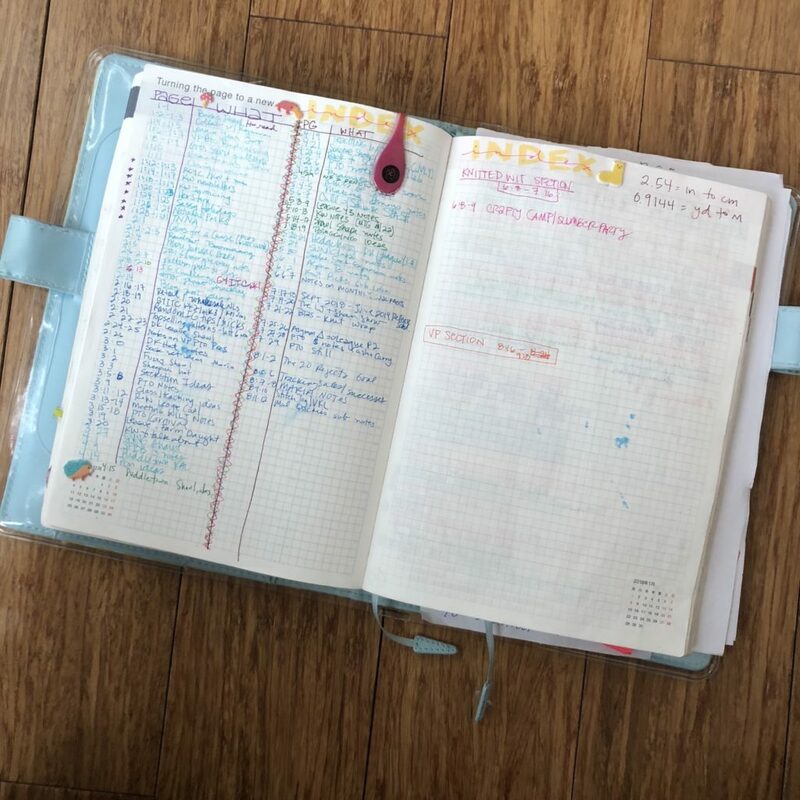 I used my daily pages as a personal journal, and that was my downfall. I thought I wanted that personal bit of myself in the same space as my business me, but quickly realized that, for many reasons, that was not the case. Plus, in using those daily pages as journal, I had no place to do my bigger-picture planning, or my note-taking, or my list-making. So, the next year, I decided to try out a different Hobonichi, and got my mister on-board. We both ordered the Weeks, which is a smaller planner (and still his preferred planner, although he did upgrade to the Mega Weeks when it debuted last year), including monthly and weekly spreads, and blank grid-paper at the back. I happily used the Weeks, along with a Leuchtturm 1917 for my designing and meeting notes and brain-dumping, throughout 2017. It was awesome, and I even ordered another one for 2018. But I kept thinking about the Cousin, and how I could better utilize it to hit all of my planning-need buttons. It kind of overtook my thoughts for a few weeks at the end of 2017 and beginning of 2018; I could not stop thinking about it. So, I bit the bullet and ordered the 2018 Cousin, started using it the third week of January. I have basically been in planner heaven ever since. I use the heck out of my monthly spreads: all school days off, holidays, trips we plan get entered there. Every time I schedule anything, or learn of anything something professional or personal or anything that should be on my radar, that’s where it goes. All birthdays, anniversaries, and any other special dates I know are popped right onto the monthly calendars. 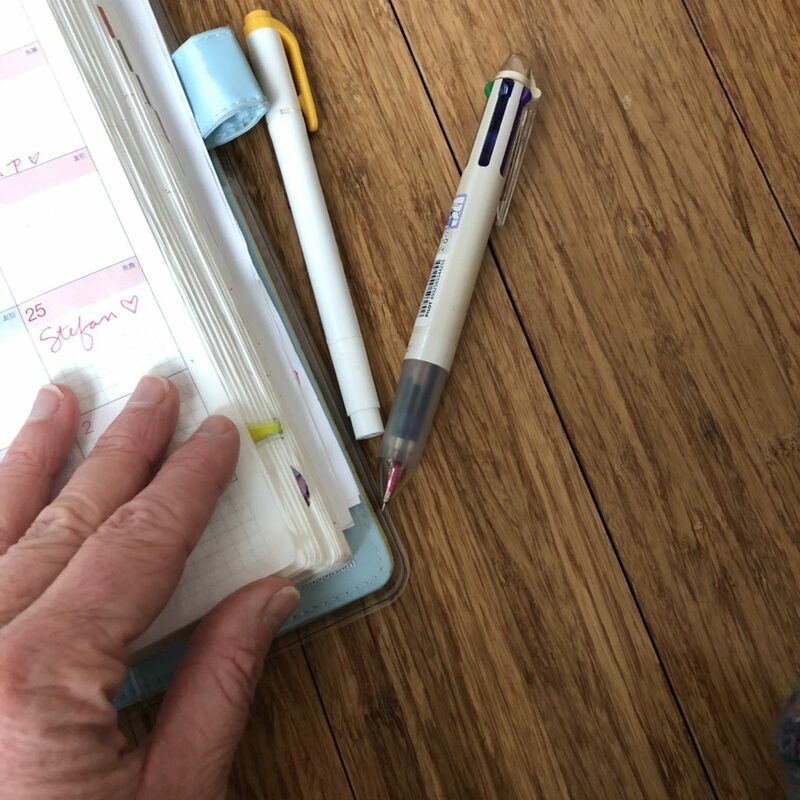 Every week, (usually Sunday night for the upcoming week, but you know how weekends go sometimes, so Monday mornings work, too), I go through and enter all of the relevant things from the monthly calendars into the weekly spread. I use the vertical section on the far left-hand side for a weekly to-do list, which I always try to rainbow-ize, because RAINBOWS ARE AWESOME. Of course, I have a preferred Hobo pen, the Hi-Tec-C from Coleto. I’ve tried a few different ones, but my favorite is the 5-color, with 0.4mm gel ink refills in a rainbow of colors (pink, orange, green, blue, and purple). Then I do daily to-do lists and meetings/events in the daily columns. I use highlighters to cross off finished to-dos. Of course, any hanging chads from the previous week get transferred over. I also doodle like mad, because, as I said previously, it helps me to process and work through things. The daily pages are used more as a running notes/bullet journal/design log/meeting minutes situation. I set up an Index in the front, and each page has a number (the date the page I’m using is assigned, so, for the Feb 22nd date, I write 2-22 in my index) that I can refer back to when I need to revisit anything. 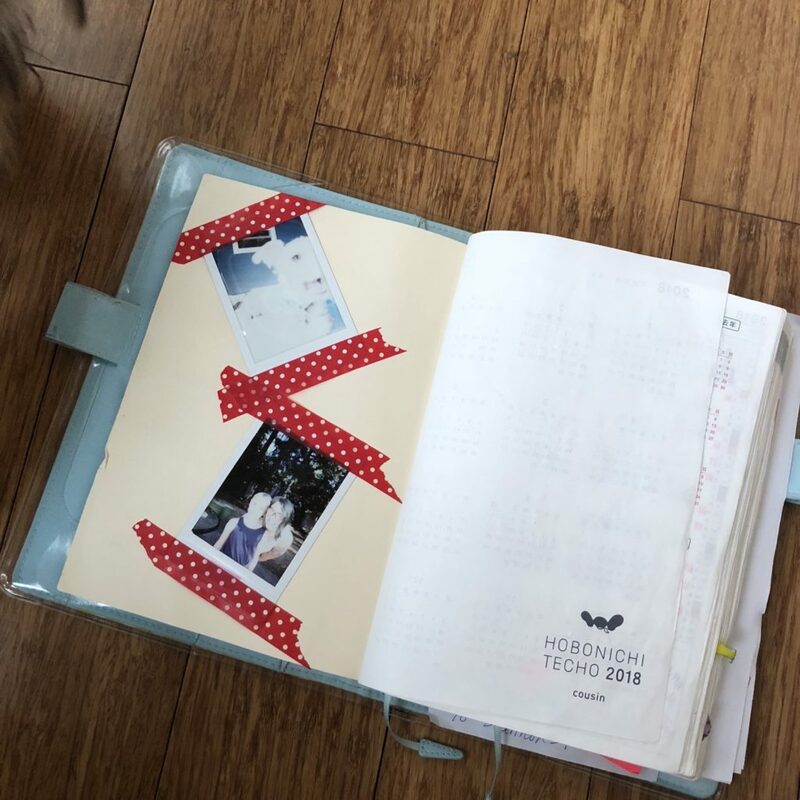 I’m already refining how I do this for next year, and plan to create page blocks for different “subjects” by folding washi tape over the tops of pages to block out a section. These will be particularly helpful for those things I work on the most (Knitted Wit and my PTO duties chief among them). 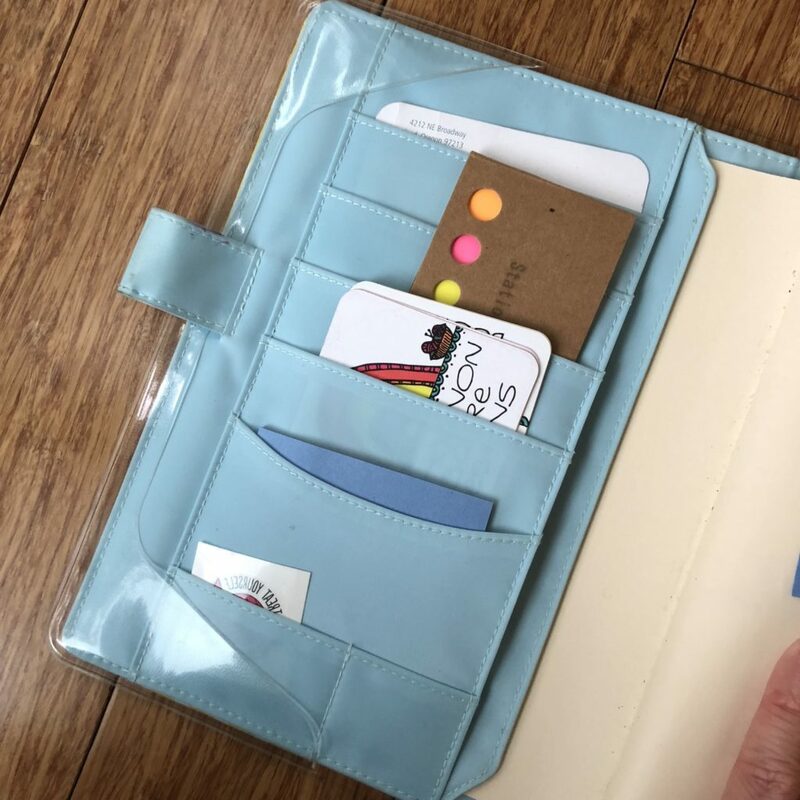 Of course, I have a Hobonichi cover, which comes with two bookmarks, and I use the heck out of those, but I also invested in some magnetic clips (called Oli clips), which I use to hold sections together. For pattern designing, I do all of my initial designing in my Hobo, and use post-its to supplement when I haven’t given myself enough pages for a specific design. 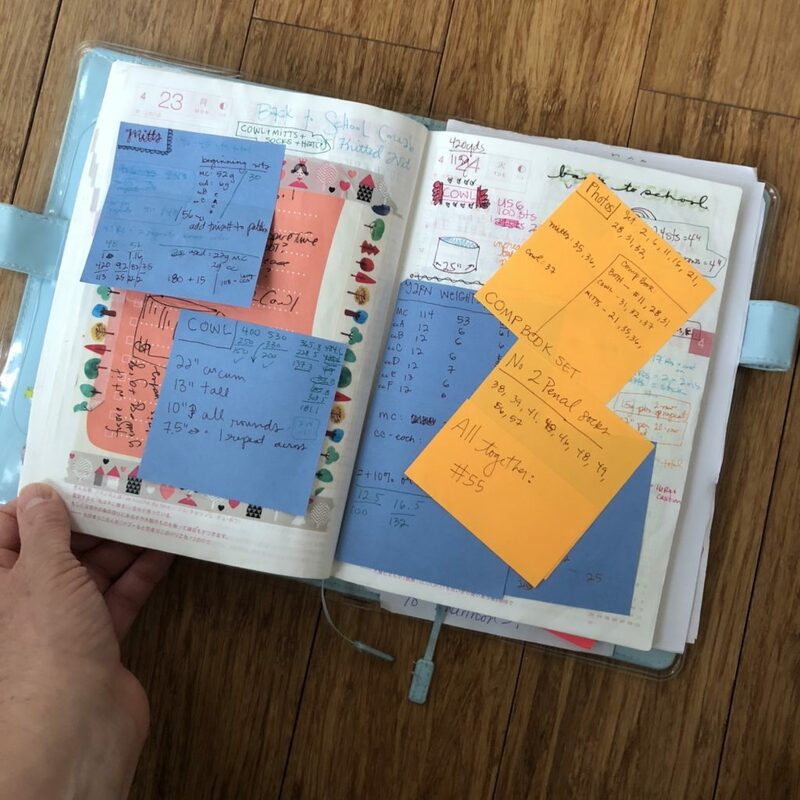 I find that the physical act of paper planning helps me in so many ways; I feel better organized, more creative, and more at peace with my busy life (sometimes, heehee). I tried planning via electronic device, and, although I love my electronic devices, that kind of planning is just not for me. I need to write things down in order to best process them. My planning is not the planning of your Instagram feed. It’s messy, and visually loud and confusing to anyone except me, and absolutely not picture-perfect. But it pleases me, because it keeps me focused and as organized as I can be. 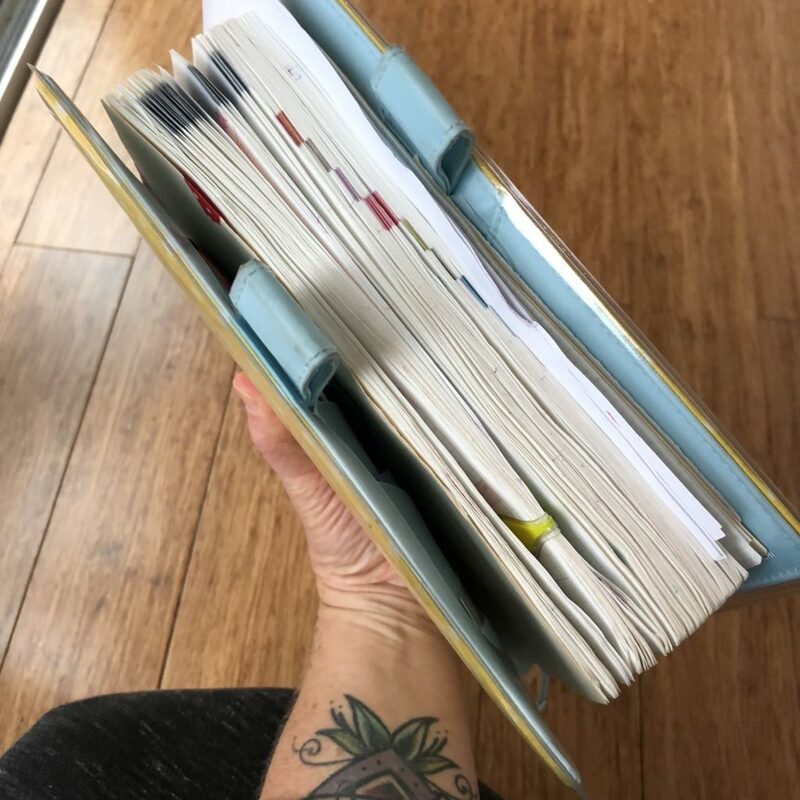 In other words, I am about as organized as this working-for-myself, PTO-co-presidenting, parenting-and-partnering person can be. 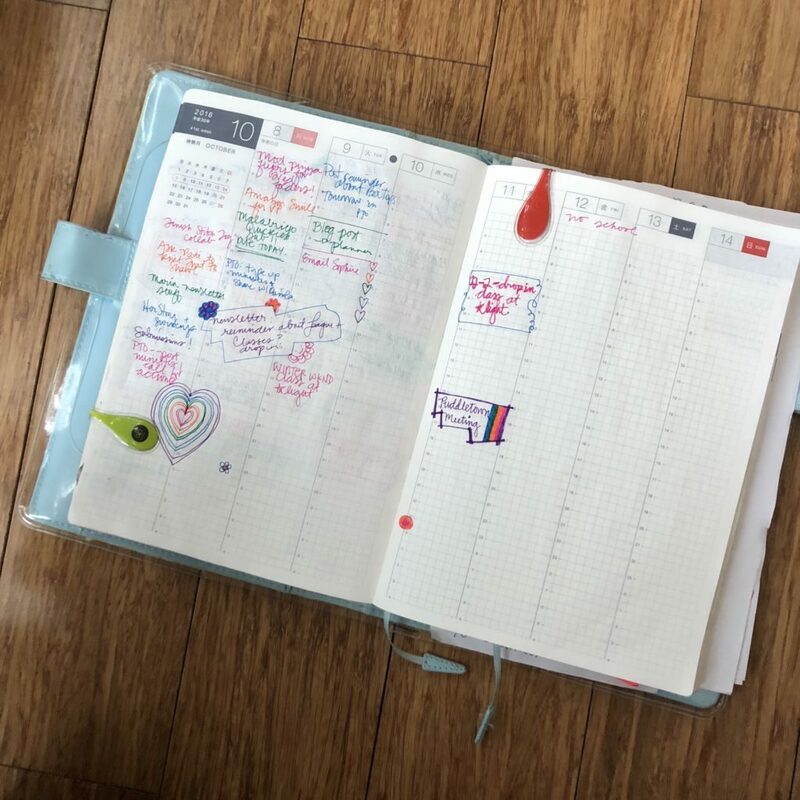 I haven’t even talked about my flirtation with the Passion Planner, my almost-delve into the Panda Planner, and my attempt to use supplemental business and personal life planners like Your Best Year Yet and the Leonie Dawson planners. Because I have tried all of those. But, after all of the trials and all of the maybe-this-is-it’s, I am finally, really, and truly happy with what I’m using and where I am, planning-wise. The icing on the cake is that some of the peeps in different parts of my life have been inspired to go Hobo-style for planning, and that makes me super duper happy. What kind of planning (if any) do you do? Let me know in the comments if you’d like to share! time. I’n a great-grandma now with many projects.